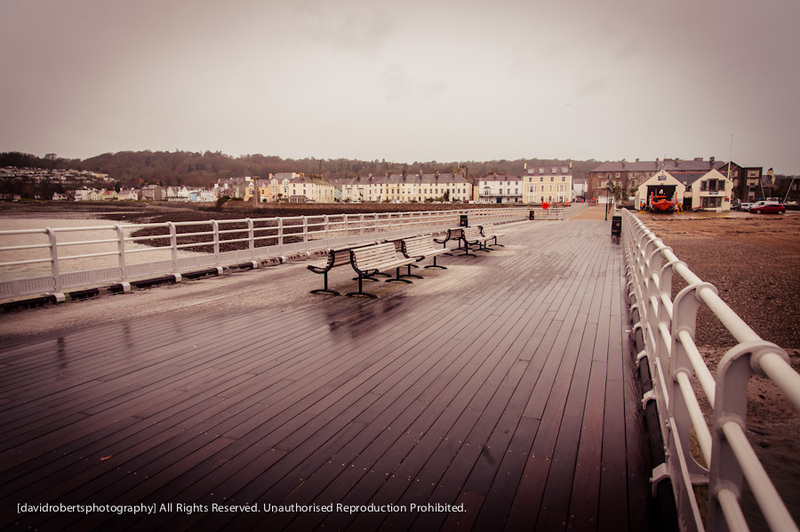 Looking back down the Pier at Beaumaris towards the West End of the town. 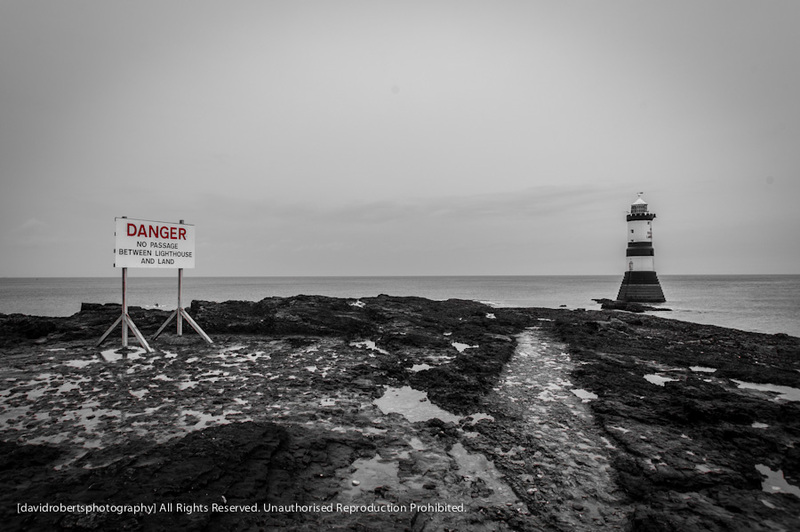 The ‘Trwyn Du’ Lighthouse at Penmon Point, Anglesey. The fog bell that sounds every 30 seconds lends a very eerie feel to this place. 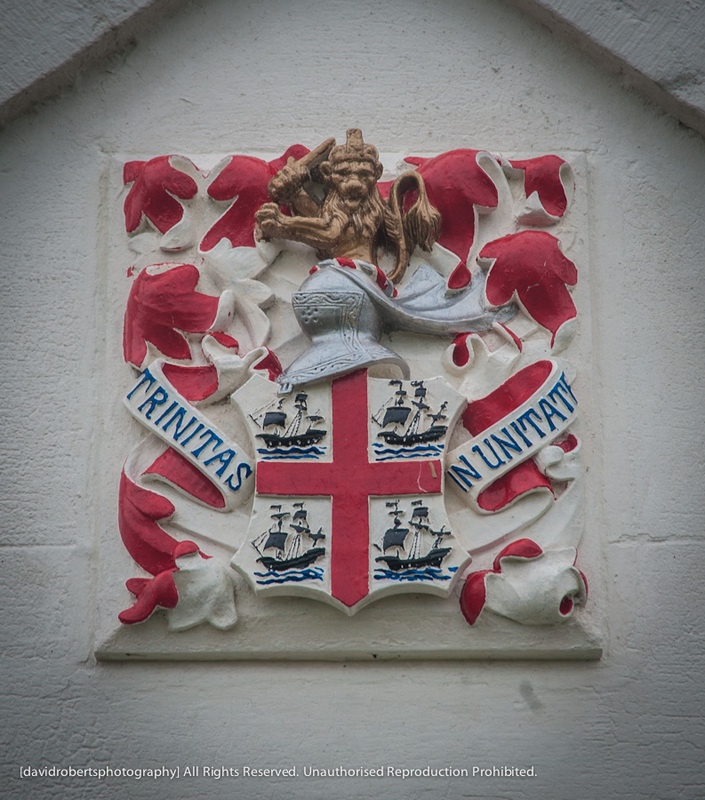 The emblem of Trinity House appears above the door of a former Lighthouse Keeper’s Cottage at Penmon Point on Anglesey. 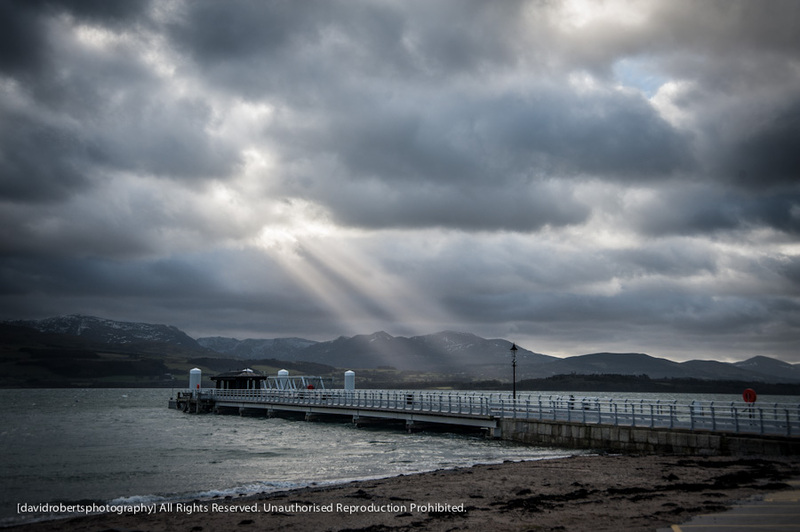 Sunlight breaks through the clouds on the Menai Straits by Beaumaris Pier. 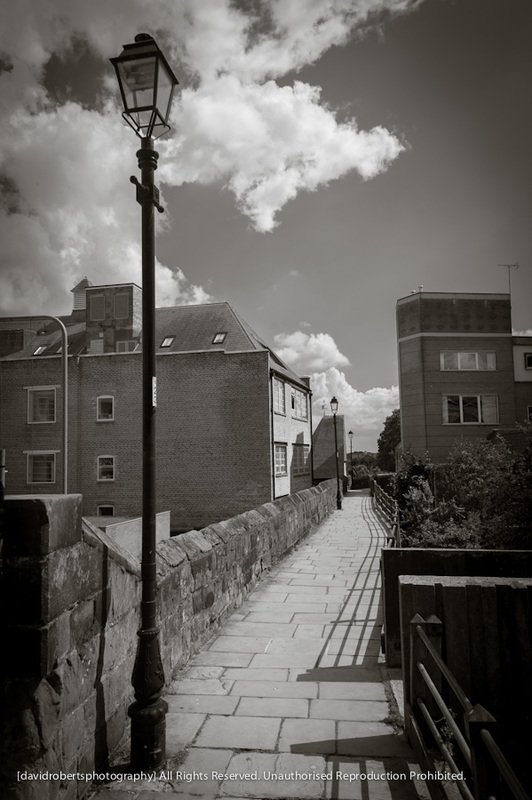 Looking along a quiet section of the City Walls in the Roman City of Chester. 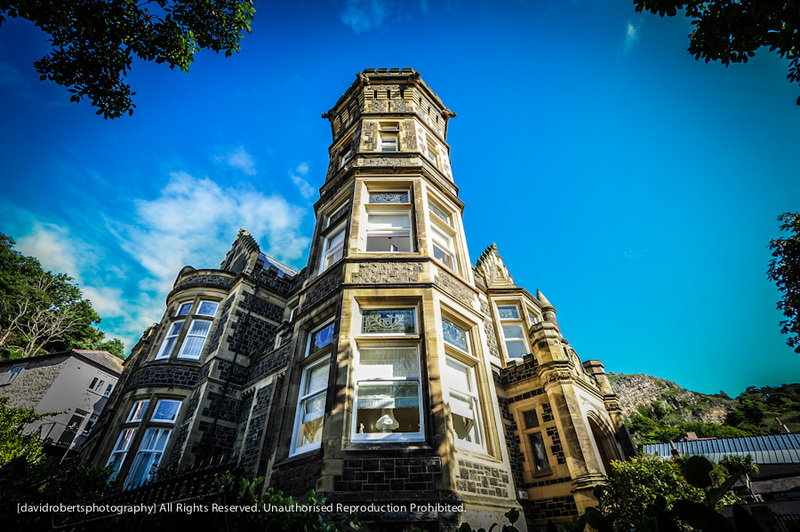 Looking up at one of Llandudno’s most interesting buildings, the former Bodlondeb Castle Hotel. 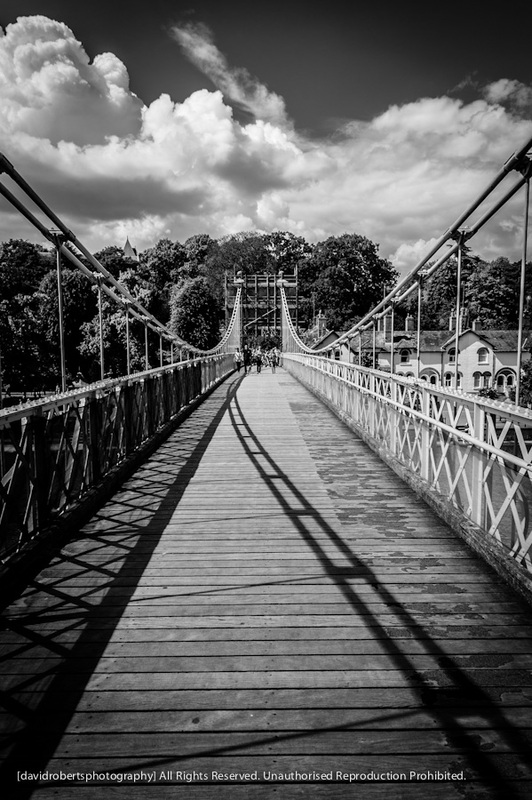 Looking along a Suspension Bridge over the River Dee at Chester. 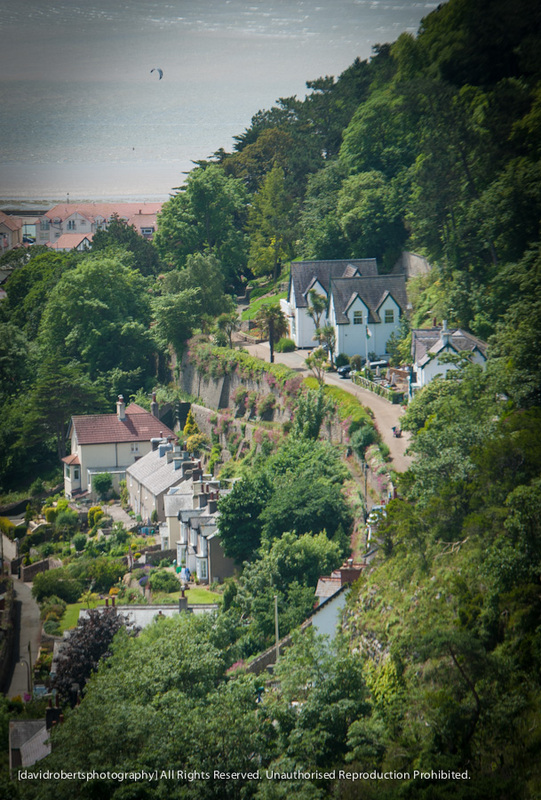 An unusual view of the Haulfre Gardens park in Llandudno, built into the side of the Great Orme. 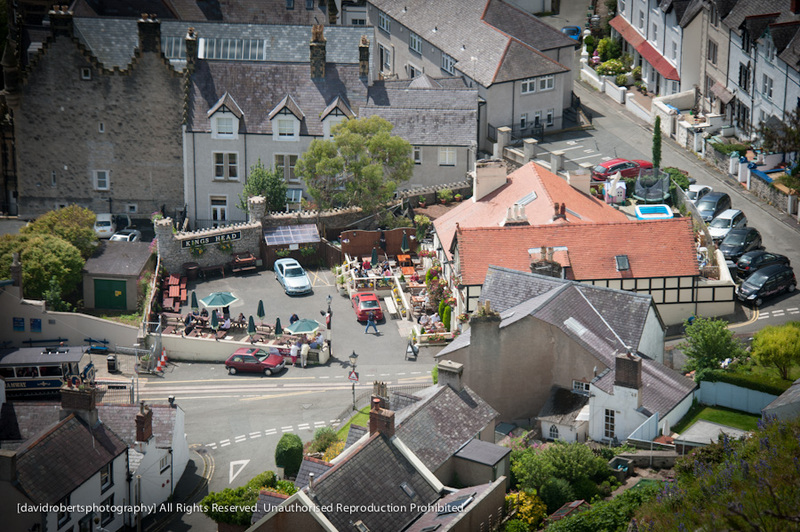 Looking down at the King’s Head Pub in Llandudno from the Great Orme. 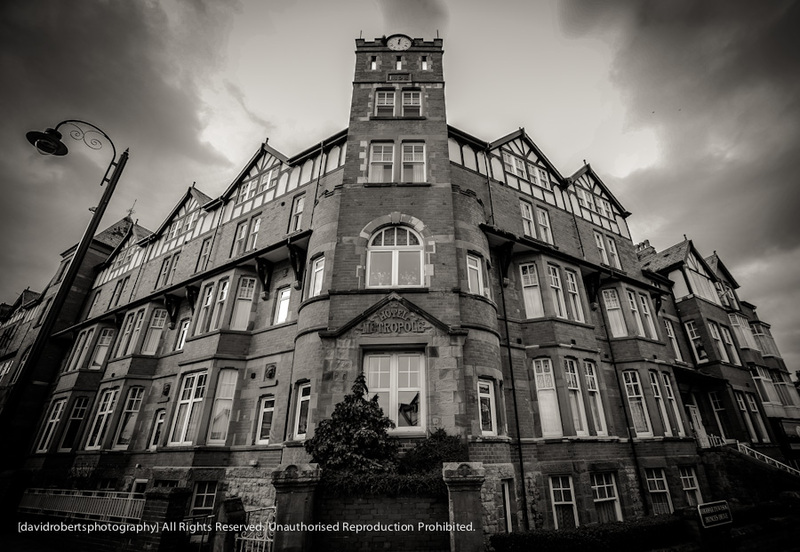 Once one of Colwyn Bay’s grandest hotels, it declined during the 1960s and 70s, ending up as the Flight Level Zero nightclub in the early 1980s until it was eventually shut down. The building was then bought by a Housing Association and converted into flats.